A 3-2 defeat to England consigned Sweden to the bottom of Group D with nothing but pride to play for in their final game of Euro 2012 against France on Tuesday. Despite leading with half an hour remaining, Erik Hamren’s side surrendered their advantage to end any hope of progressing through to the quarter-finals. Les Bleus, however, stretched their unbeaten run to 23 games with a 2-0 victory over co-hosts Ukraine, despite the best attempts of the weather to have the game abandoned. That result sees Laurent Blanc’s side sit top of the group, level on points with the Three Lions and one point clear of third-placed Ukraine. It was the first time France had won a match at a major international tournament in eight games since a 1-0 victory over Portugal in the semi-finals of World Cup 2006. Unsurprisingly, they’re odds-on favourites at 31/50 to round off a miserable tournament for the Swedes, with the draw at 27/10 and win for Hamren’s men at 19/4. Sweden have managed to keep just one clean sheet in ten matches and face a more deadly attack than the ones posed by Ukraine and England, who managed to breach their defence five times between them. 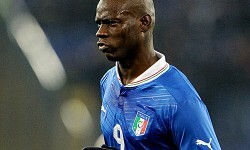 Euro 2012: France v Sweden – check out all 322 markets! Previous meetings between the two sides make for rather grim reading for Sweden, having failed to defeat the French in their last 11 encounters going back just over 40 years. They have managed to keep just one clean sheet in ten matches and face a more deadly attack than the ones posed by Ukraine and England, who managed to breach their defence five times between them. Sweden do, however, possess one of Europe’s top strikers in the shape of captain Zlatan Ibrahimovic and the AC Milan forward has found the net in four of his last five matches for his country. Odds of 39/50 for both teams to score aren’t the most attractive, but demonstrate that the two sides are more than capable of finding the net in the game. With this in mind, backing the match to feature over 2.5 goals at 4/5, as has been the case in Sweden’s last five matches, looks a good bet, while over 3.5 could be worth at punt at 39/20. Despite wanting to exit the tournament on a good result, the Swedes are unlikely to pose as much of a threat to Blanc and his side as if their involvement in the competition was riding on the game. With the likely possibility of world and European champions Spain up next for the runners-up of Group D, France will be eager to ensure they do everything within their power to finish top of the pile. Having dominated much of the possession in their draw with England and not let the extraordinary circumstances surrounding the Ukraine game affect them, France will have more than enough quality to see off their opponents on Tuesday evening. Their 3Way price isn’t the most inviting, so punters looking for longer odds could do far worse than back France to win in a game featuring over 2.5 goals. Chalked up at 29/20, this selection would return a cool £49 for anyone successfully backing it with their free £20 bet for registering with bwin.